Quest Ipswich - the newest serviced apartments in Ipswich. Light filled, spacious and welcoming. 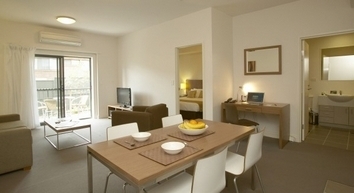 We can accommodate guests in Studio Rooms, or one, two bedroom executive or three bedroom apartments. With all the facilities of a hotel plus the capability to accommodate long stay accommodation requirements, Quest Ipswich represents the flexibility that is necessary in todays competitive accommodation marketplace. 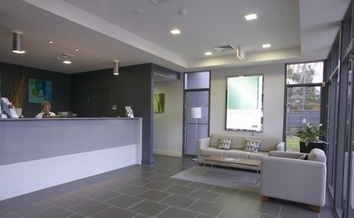 A great serviced apartment accommodation complex in the heart of bustling Ipswich. The property is a very short stroll to the Ipswich Showgrounds, University of Queensland - Ipswich Campus and Ipswich Hospital. 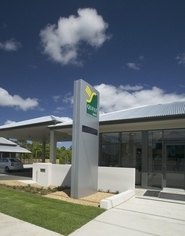 A very short drive to nearby Amberley RAAF Base. 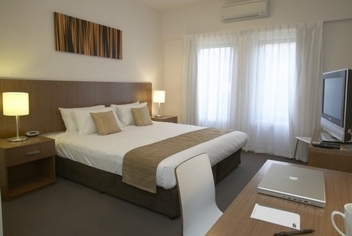 Quest Ipswich is a great accommodation option for all short and long term needs in this area. Spacious apartment that is suitable for up to two guests (in existing bedding). The one bedroom apartment is an ideal alternative to a traditional hotel room, where guests can stay in an apartment that provides a fully equipped kitchen, private laundry and a spacious living room. The apartment accommodates up to two guests in a King size bed. The spacious two bedroom accommodates up to four guests with a Queen size bed and two Single beds. Guests can stay in an apartment that provides a fully equipped kitchen, plus private laundry and a spacious living room. The two bedroom apartment is an ideal alternative to a traditional hotel room. The apartment accommodates up to four guests with two king beds. This combines a one bedroom apartment with an interconnecting studio apartment. Therefore there are two bathrooms with this room type. The two bedroom apartment is an ideal alternative to a traditional hotel room, where guests can stay in an apartment that provides a fully equipped kitchen, private laundry and a spacious living room. The apartment accommodates up to four guests with two King size beds. The three bedroom apartment accommodates up to six guests with three king beds. This combines a two bedroom apartment with an interconnecting studio apartment. Therefore there are two bathrooms with this room type. The apartment accommodates up to six guests with three King size beds. Our spacious studio rooms feature a King size bed or 2 singles are air conditioned with ensuite, have tea/coffee making facilities, microwave, toaster, small fridge. 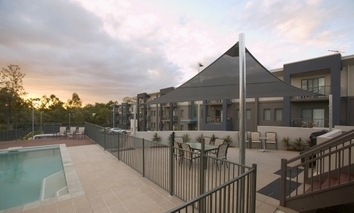 Quest Ipswich is located on the doorstep of Ipswich's cultural and entertainment centre. Quest Ipswichs prime location in the city centre means just a stroll to shops, Al fresco cafes, restaurants, bars, markets and food halls. With a prime location you are central to The Workshops Rail Museum and other local attractions detailed below. Should you need information or assistance in regard to any attractions that we have not detailed here please feel free to ask us when you arrive and our friendly personnel will do everything they can to assist and make you feel welcome. Great fun for the whole family. Wide open spaces, history and loads of fun activities for everyone. Ipswich's pride - the Ipswich Turf Club - home of horse racing in Ipswich. Dining, Gaming, Family fun for all. An incredible experience to remember for all of your days! !